Sounds like sadie...we buy her a bed,and she'd rather sleep on your clothes or put her head on your shoes. 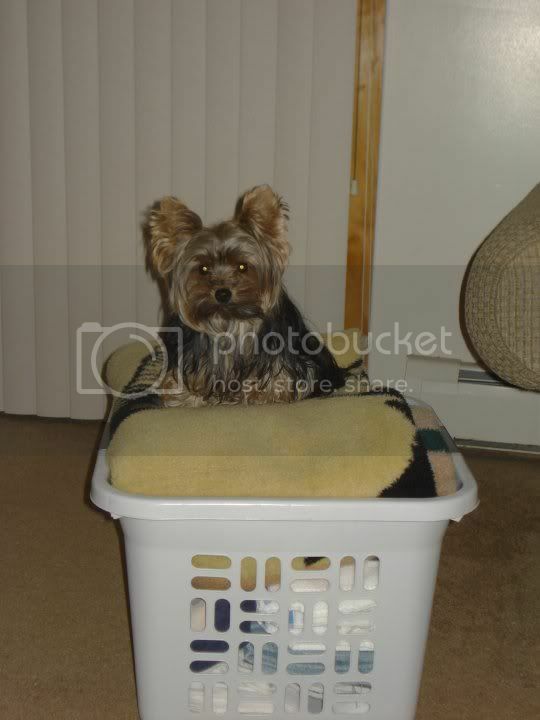 Haha Mia says she has a bed just like that one only mom doesn't like her to lay in it or put bullysticks in it. I can so relate to this. My boys often sleep anywhere but on their beds. And like yours, my dogs have a number of beds to choose from. A few weeks ago, I saw this . . .
Part of him made it on the bed, anyway. Muffin drags his beds out of the crate and sleeps on the plastic. lol. Gotta love dogs!